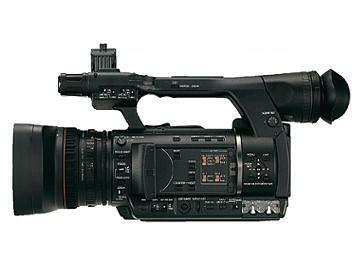 The Panasonic AG-HPX250 is a P2 HD handheld camcorder with master-quality 10-bit, 4:2:2 independent-frame, 1920 x 1080 resolution AVC-Intra 100 recording. Cette camera est de très bonne qualité professionnel. la qualité de l'image est surprenante. Le plus est la profondeur de champ qui est d'entrée de gamme et les trois bague sur l'objectif sont parfaites. I have received my shipment as promised and I was very happy with the services. HPX250 is a good value for money for small and big production company. I run a small production company and the camera is great and sharp, no problems at all. I will order another one very soon.. The camera is as I already knew, an excellent camera for my use as a documentary producer. Globalmediapro prices competitive, delivery after payment was slightly longer than anticipated. Globalmediapro can be recomended for all who want cameras and equipment at excellent prices, but make shure to check your lokal custom expenses in order to avoid surprices upon delivery. With this in mind I do recomend Globalmediapro as a partner in purchases of all media hardware. Uses camera to camera production.bought three pieces to make several.Clear and good pictures, no delay on the outputs.even weight distribution on the camera that makes it comfortable to shoot by hand.A camera that is worth trying! !